We met each other and fell in love in Santorini so we decided to build there our own unique heaven. 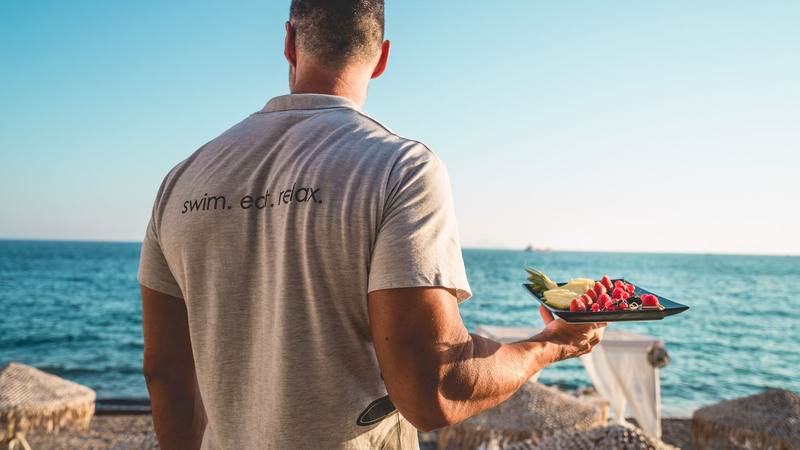 Our vision was to create a special place where the visitors can enjoy flavory food, swim in the beautiful sea, and relax in a private secluded resort. 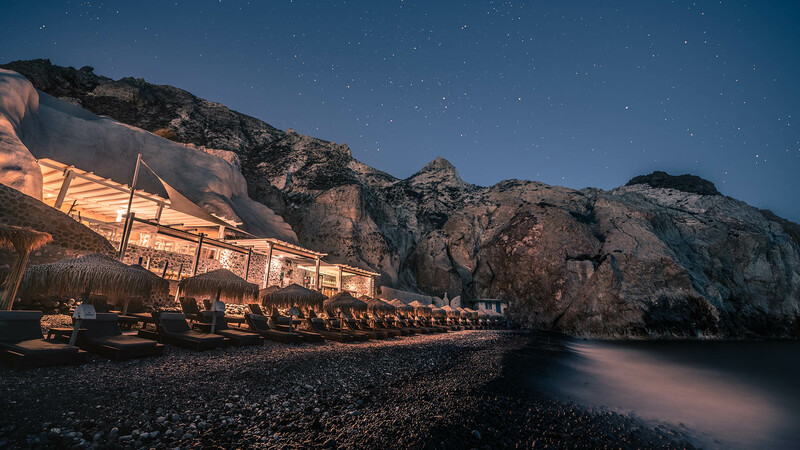 When we saw the astounding landscape we instantly decided to create a romantic paradise under the lucent greek sun who warms up heart and soul. Mesa Pigadia is surrounded by a stunning rocky landscape that offers privacy, serenity and seclusion to its visitors. 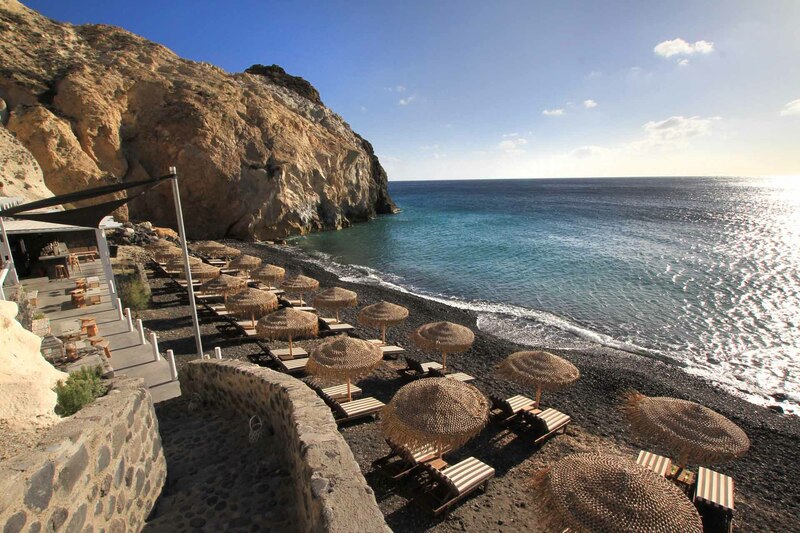 Through Akro you can also reach the White and Red Beach of Santorini which are known worldwide for their wondrous landscape and majestic view. Visit us in Akro to enjoy the beautiful sea and our first class services based on the exceptional elegance and the famous Greek hospitality. 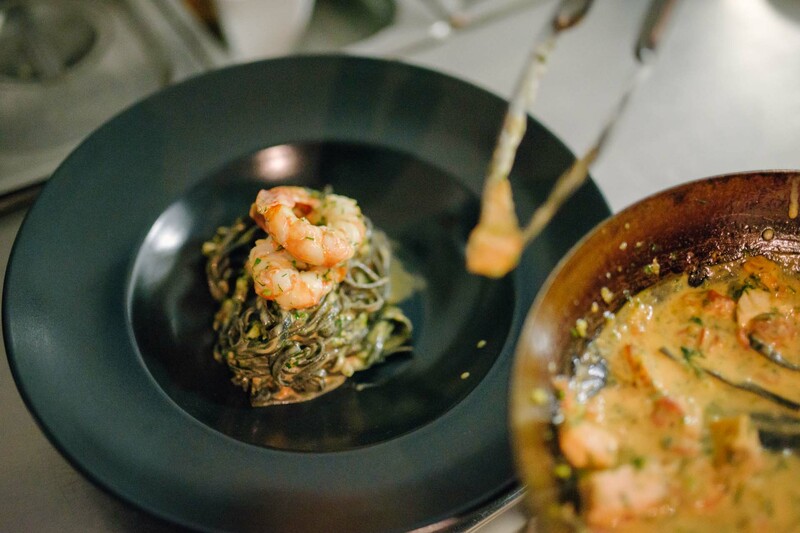 Akro restaurant is the ideal place for ultimate privacy and divine cookery. Its special position by the sea, in the brink of the waves, makes you feel like floating on the water when you’re having your dinner.